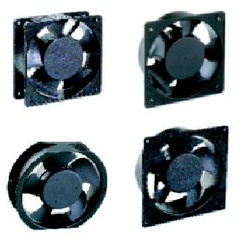 To furnish the ever increasing desires of our customers, we are engrossed in presenting a wide spectrum of Panel Cooling Fans. Under the direction and supervision of skilled personnel, these are made in accordance with the pre-defined quality norms. Besides this, these are immensely commended in the market because of their durability. Supported ourselves with proficient amenities, we are readily instrumental in providing an inclusive variety of Instrument Cooling Fan. 2. 5" , 3" , 3. 5", 4" , 6" . Availaible brands are rexnord, sunon, fanon, delta, ebm, nmb etc. Sleeve Size: 4" To 10"
We are providing PVC Cooling Fan to our clients. 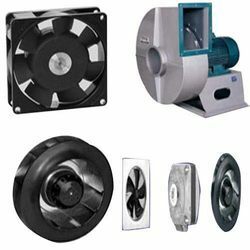 Leveraging over the skills of our qualified team of professionals, we are engaged in providing supreme quality range of Rexnord Cooling Fan.